This foundational framework of diversity introduces participants to a process that can be used to understand the various growth stages of diversity awareness and inclusion. Diversity, Consciousness and Integrity training session takes a deeper dive into the issues of diversity, culture, inclusion and integrity. This module fosters growth by assessing and improving one's thoughts and actions around diversity-related issues. This session can also be specially tailored for managers to assist in building their comfort with, and competence in, leading a diverse workforce. Understanding Generations in the Workplace is a highly interactive (games, discussion, period music, etc.) diversity training that helps participants better understand the personalities, perceptions and preferences of the four primary generations in the US workplace. This module focuses on exploring the impact of stereotypes about the four major generational groups present in today's workforce: Veterans, Baby Boomers, Generation X and Millennial's/Generation Y. Participants are exposed to the history and collective experiences of each generation and are encouraged to discuss and ask questions about each generation. CRASH: The Multi - Cultural Competence Exploration New! This diversity module is designed around the new award winning movie entitled CRASH by Paul Haggis. Participants will examine the stereotypes and micro-inequities of everyday diversity and culture experiences that can, if not managed, lead into a CRASH moment. We will dissect segments of the movie to engage discussion around common culture shock behaviors (aggression, dismissal, denial, discounting, selective perception, stereotyping, prejudice, bias, discrimination, etc.) and provide a model and strategies to avoid a CRASH. * Upon request, racial, gender and age diverse training teams are available. Ethical choices are made by individuals. Ethics and Integrity training will concentrate on the critical importance of individual behavior, attitude, mutual respect, and integrity. Directing Your Own Traffic is a training course that maximizes the capacity of an individual, a team, or an organization to perform, and is based on two concepts: personal responsibility and personal accountability. Capacity refers to an individual's ability to do their job. It involves an individual's mindset, skills, education, and competencies to perform what is assigned or chosen Empowerment model identifies four distinct levels of self-empowerment that are exhibited by employees and customers (victim, passive, active and highly active). This session explores strategies and solutions to effectively optimize the empowerment levels of yourself and your co-workers to identify what is needed to progress along the empowerment continuum, thus working to achieve the highest level of organizational productivity. 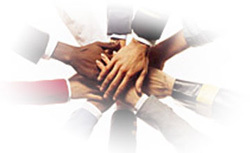 In addition, we will lay a foundation for developing empowered leaders, leadership systems and organizations. Provides in-depth understanding about the fact that what one says, thinks and does is vital to the overall success of the organization. We will explore four critical areas; awareness of self, managing self, understanding ones environment and developing people interactive skills. Identifies to a manager that what he/she says, thinks and does is critical to the overall success of their management process. In addition to the four critical areas; awareness of self, managing self, understanding ones environment and developing people interactive skills, we will also explore various leadership styles. Participants will gain insight about the uniqueness of different cultures and how it impacts their internal and external customer. We will explore the four world views of culture and develop an understanding of makes up the uniqueness of ones culture and the cultures of others thus enhancing day to day professional and personal encounters. This module emphasizes the importance of communication that goes beyond words. We will enhance the skills of listening by exploring the various levels of listening and use those listening skills as a tool for getting accurate feedback about critical aspects within the communications process. Surface the brilliance and value of ideas relative to the mission, vision, and critical success factors confronting staff and organization growth. We explore the unique difference between assertive, passive and aggressive behaviors and attitudes. An organization thrives on the ideas of its employees. Effectively promoting ones position viewpoint can move the staff and organization from good to great. Communication is enhanced when we realize and promote the value in others. Recognize how mastering diverse communication styles and situations will yield optimum business results. The longer one delays the inevitable, the greater the increase in anxiety, delayed /stalled business results and non-productivity. Learning ways to deal with difficult conversations, behaviors and situations help to create workplace harmony and respect thus, increasing creativity, productivity and goal achievement. 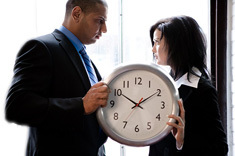 Conflict in the workplace manifests itself in many unpredictable ways. Learn how to identify conflict, react to business challenges and progress from conflict to common ground. Giving and receiving feedback effectively is a simple but powerful team concept. When effective feedback begins to thrive in a work environment, it can enhance the individual, team or company in virtually every way; people grow, they take more risks, they are more creative and empowered. Giving and receiving feedback effectively, is a vital skill for all management and team processes, and customer-focused strategies. 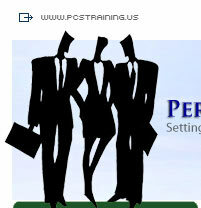 Explain how one's personal style of interaction is a key aspect to interpersonal communications and productivity. There are four basic styles of interaction; diver, expressive, amiable and analytical. We will explore all four styles and their impact on employees and customers. High performance organizations understand that effective leadership equates to productivity and success. This workshop identifies six distinct leadership styles and the effect each style could have on those that one might attempt to lead. Integrity Teaming enhances the ability to develop and lead high performance teams to achieve optimum level of workplace performance through integrity, trust, respect, communication and interpersonal connection. In general, providing service whether internally or externally often puts you, face to face with difficult people. Understanding behaviors and attitudes that are present in times of difficulty can serve to diffuse potentially volatile circumstances. This workshop provides a basic understanding of interpersonal and situation difficulties and provides some suggested techniques and strategies for working with difficult people and resolving difficult situations. This module takes a close look at those things that influence the usage of time from a business and personal perspective and provides tools to effectively manage your personal and professional tasks and responsibilities.